This image is a gallery of distant background galaxies all found in my image Centaurus A Extreme Deep Field - 120 Hours. A huge variation is seen, including exotic mergers, ring galaxies, compact groups and extremely distant galaxy clusters. The magnitudes of these background galaxies lie in the range of around 17 to below 24. 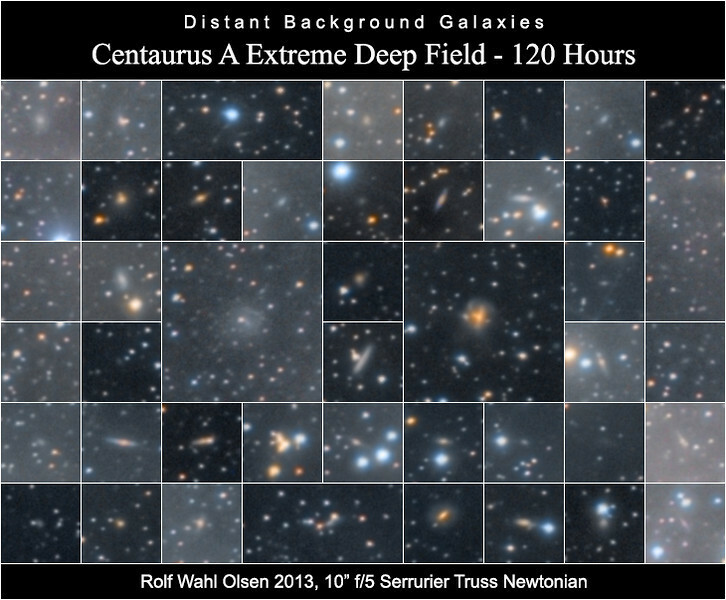 The faintest stars in this extremely deep exposure reaches magnitude 25.45.